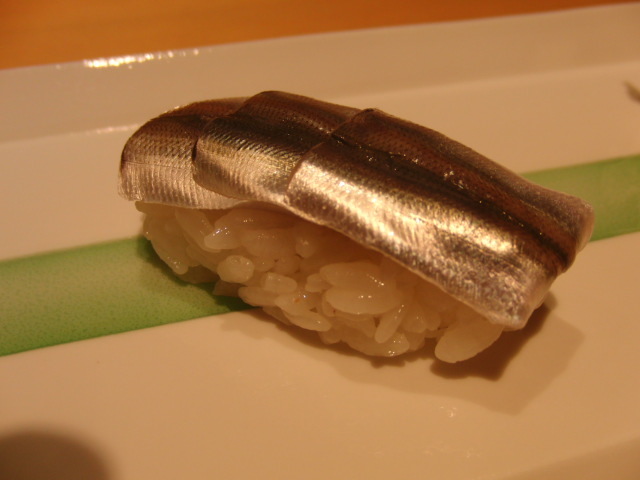 Kohada/コハダ、or “small skin” actually is not the Japanese name of gizzard shad, but a generic name for the small fish as sashimi or sushi. 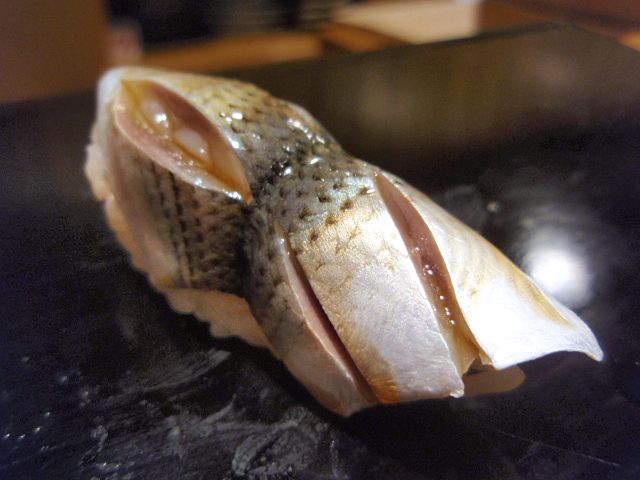 Although the mainfishing/angling season is around November~December, it can be found in good sushi restaurants all year round. 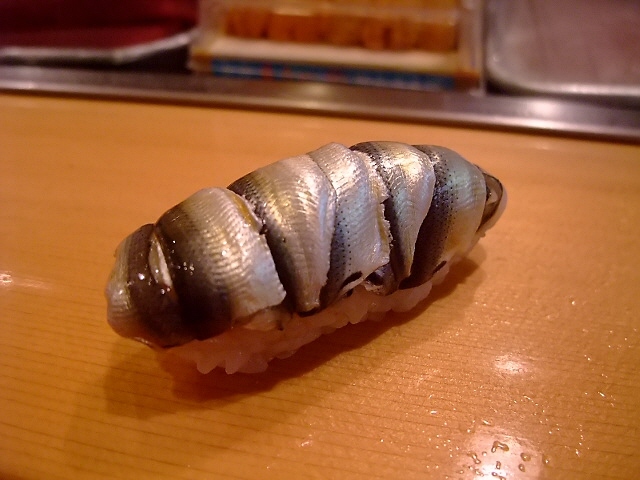 This said, in July, it will be the small shinko season. 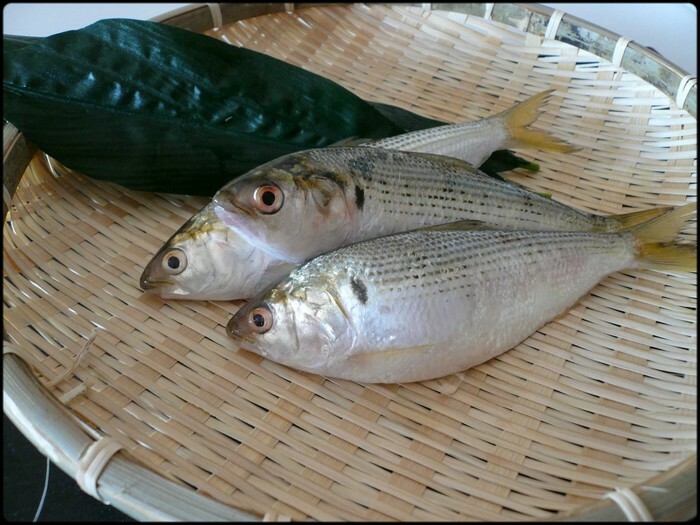 Choose fresh specimens. 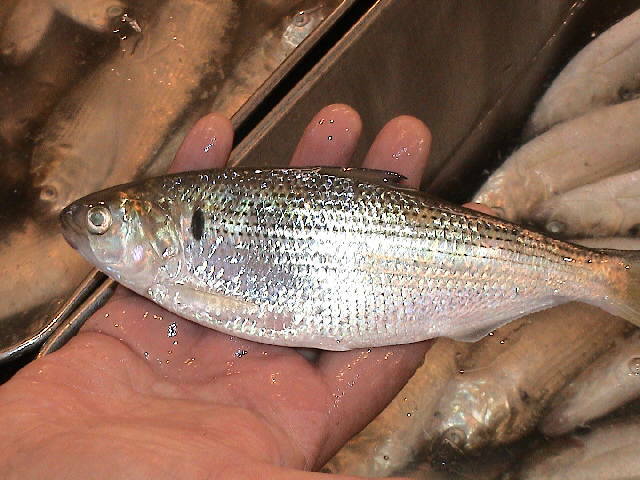 Fish with reddish eyes and flaking scales should be avoided. 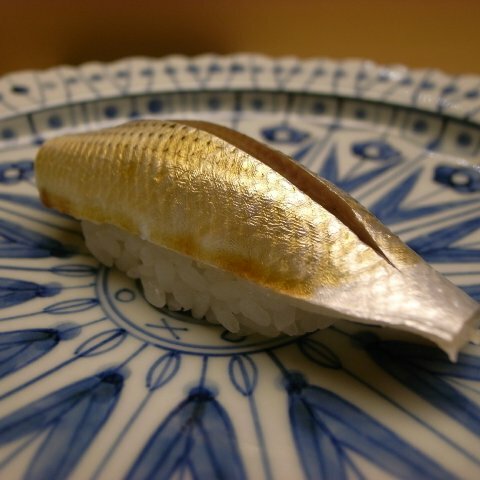 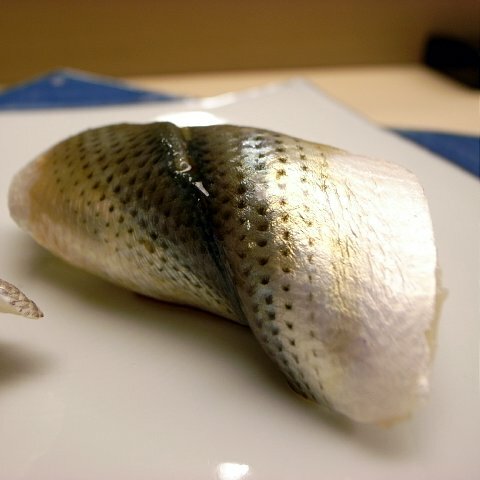 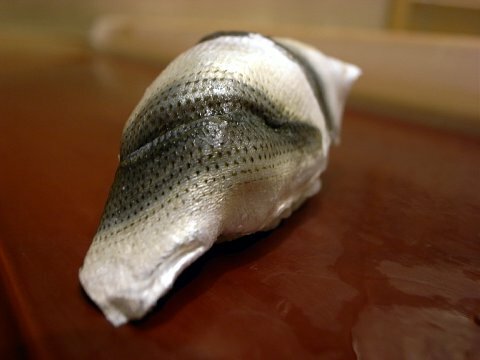 The fish is particularly popular pickled in salt and vinegar before being served either as sashimi or sushi, as the smell emanating form the grilled fish is too strong for many. 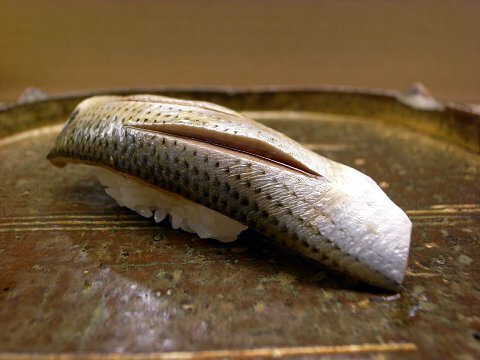 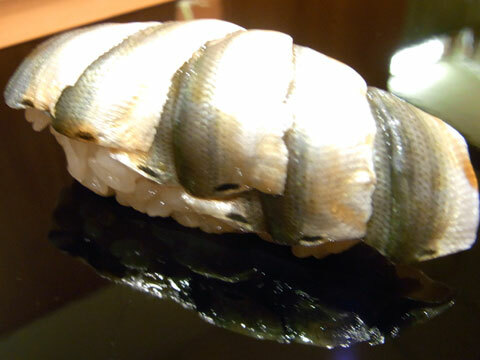 Kohada maki, with no rice, is an interesting morsel for people wishing to savour it alone with a great drink. 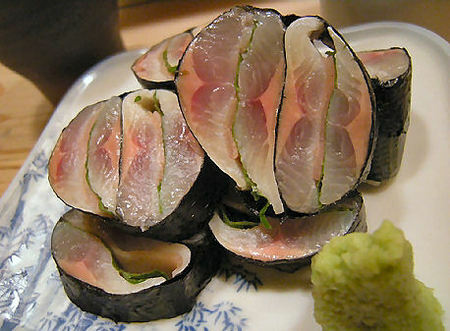 But it is most popular as sushi! 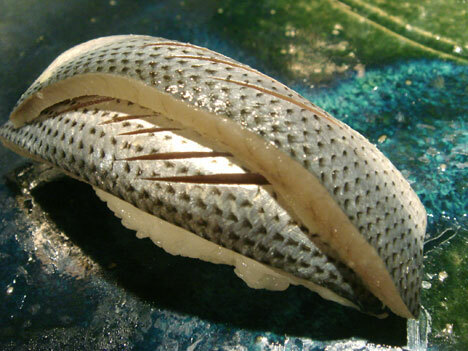 The small size of the fish allows for all kinds of combinations, but the fun, and the skill, reside in the “shallow cutting” practicd by many chefs for best taste. 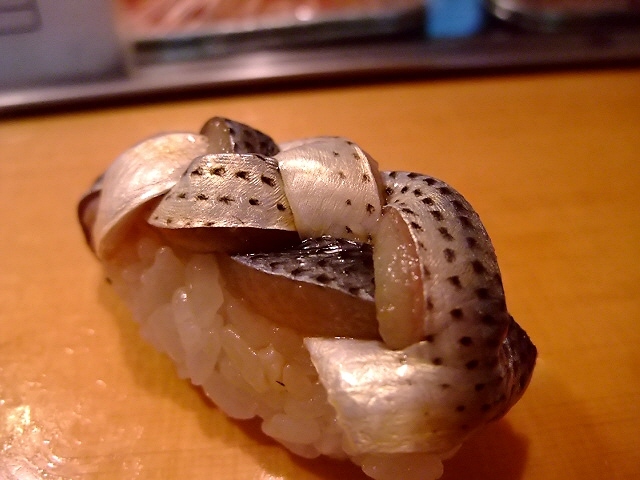 The cutting techniques are almost infinite. 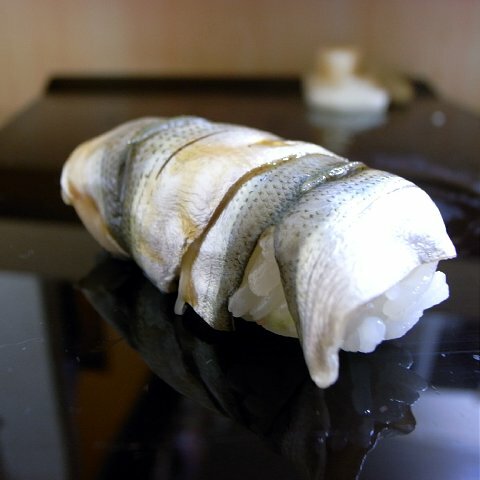 I hope that the following pictures will give an idea of what to expect, or create! 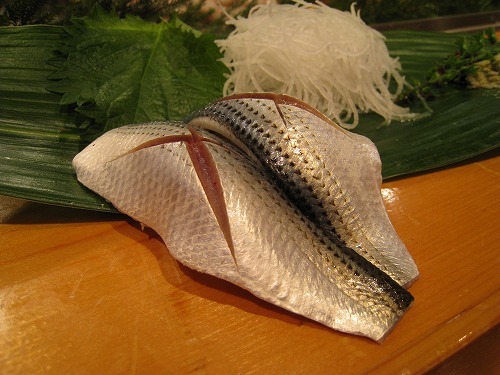 Will publish the recipe to prepare the fish soon!